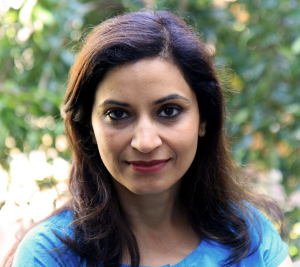 Born in New Delhi, India, Anuradha Rana is an independent filmmaker based in Chicago. Her work focuses on themes of identity, its provenance and portrayal amidst a global backdrop. Her award-winning films have screened internationally and she has produced and directed documentaries filmed in India, Ecuador, Japan, South Africa and the USA. She is currently in production on Language of Opportunity, a feature documentary exploring the role that English plays in the lives, hopes and dreams of a new generation of Indians; and Copperdog (wt), a documentary that follows three teams of mushers and their sled dogs as they train for the annual Copperdog Race held in March in the upper peninsula of Michigan. Anuradha is chair of the documentary program at DePaul University’s School of Cinematic Arts and is the program coordinator for Diverse Voices in Documentary (#DVID), a professional development and mentorship program for documentary media makers of color, organized by the legendary Kartemquin Films and the Community Film Workshop of Chicago. She was recently named one of Chicago Film’s 50 Screen Gems of 2017 by Newcity Magazine. Appearing with a special work-in-progress screening of her new film Copperdog.